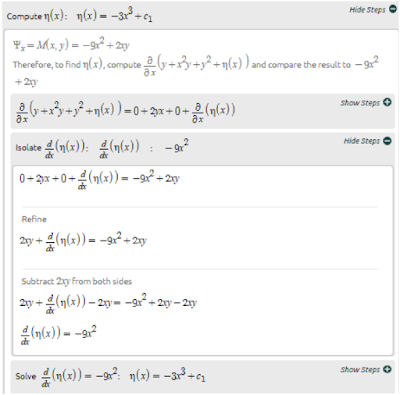 In the previous posts, we have covered three types of ordinary differential equations, (ODE). We have now reached the last type of ODE. 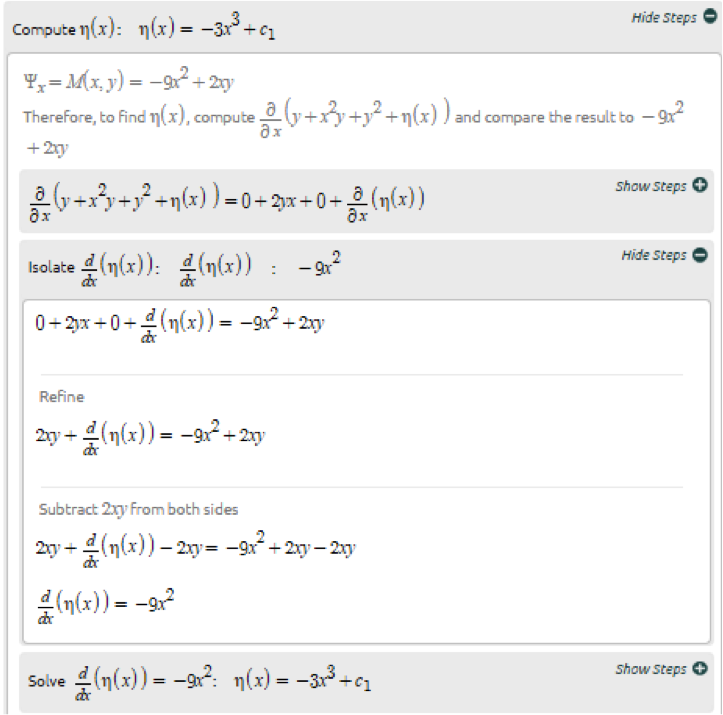 In this post, we will talk about exact differential equations. What is an exact differential equation? There must be a 0 on the right side of the equation and M(x,y)dx and N(x,y)dx must be separated by a +. Exact differential equations can be tricky. 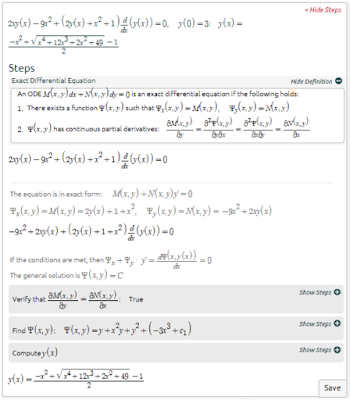 We will solve the first example step by step to help you better understand how to solve exact differential equations. We took the derivative with respect to x of Ψ(x,y), which is equal to y+x^2 y+y^2+ƞ(x). We then compared the derivative to M(x,y), the equation we didn’t integrate. We then integrated both sides to solve for ƞ(x). 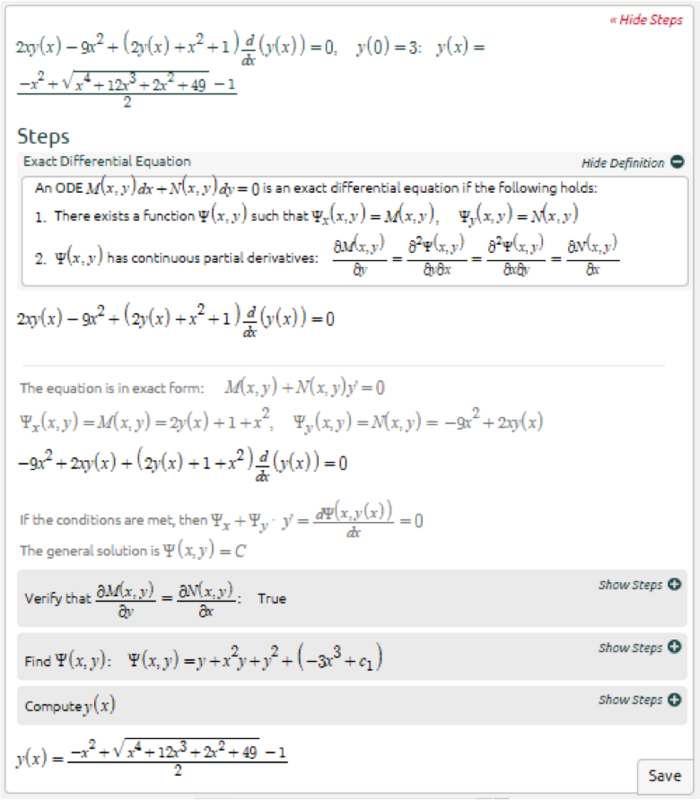 Exact differential equations may look scary because of the odd looking symbols and multiple steps. If you double check your work, memorize the steps, and practice, you can definitely get this concept down. Don’t be afraid and dive in! Thanks. This is a good help to those students who afraid to differential equations. But I think that the way it can be memorized should be applications of differential equatons. Now this is definitely interesting.